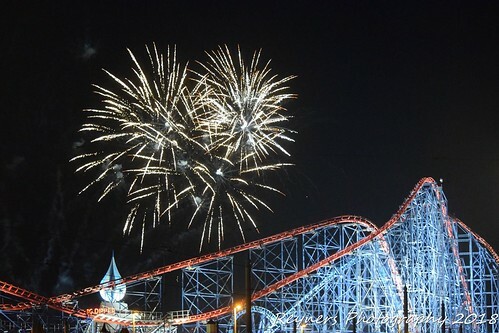 Blackpool once again plays host to the International Firework Competition held annually in the skies over this lovely seaside town. PANDORA PYROTECHNIE – This team competed in March at the Philippines International Pyrotechnic Competition and are also scheduled to take part in La Grande Motte from 15th August 2018 and they were winners at last year’s event in the French Alps – Courcheval. PYRO-TECHNIC TRANSILVANIA – This team was established in 1998 and continue to thrill young and old alike with their combination of SFX and pyro events across Romania, putting on over 700 shows annually. This year the team took part in one of the industries biggest and best competitions in the Czech Republic called Ignis Brunensis. The colours in this display were exceptional so expect some bright and big effects in Blackpool. 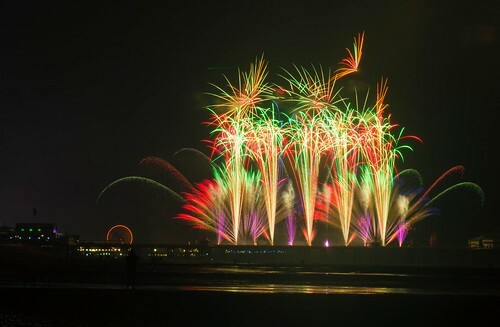 FIREMASTER PRODUCTIONS – Ontario based team who have been in the business of fireworks for 15 years have previously competed in Blackpool, coming out with a runners-up in 2008 and then lifting the silverware in 2014. In addition, they competed in Hannover where they were once again runners-up before winning Globalfest in 2016. Blackpool has its usual staples like the Tower and the Pleasure Beach but there are plenty of things to see and do around about. At the Winter Gardens, there are musical and theatrical events featuring everything from the Madagascar, a Musical Adventure to Rip IT Up the 60’s with Harry Judd (McFly and Strictly Come Dancing) Louis Smith (Olympic Gymnast and Strictly Come Dancing) and Ashton Merrygold (JLS and Strictly Come Dancing) who are performing music from throughout the 60’s including tracks from The Stones, The Who and The Beatles to name just a few. You could spend the day at the Zoo and check out the Lions, Tigers, and Bears (well, a red Panda at least) or go to the Sealife Centre and check out Nemo’s relatives, see shark, rays and the beautiful turtles or visit the rock pool area where you or your little ones can even touch some of the critters of the sea. It is a fabulous event in a Town which has the entertainment to suit all the family and being ‘Northern’ a friendly welcome awaits.